Any new travel bans and asset freezes would be the EU's toughest measures yet to try to hold the military accountable for the abuses, likely joining U.S. and Canadian sanctions already in place. 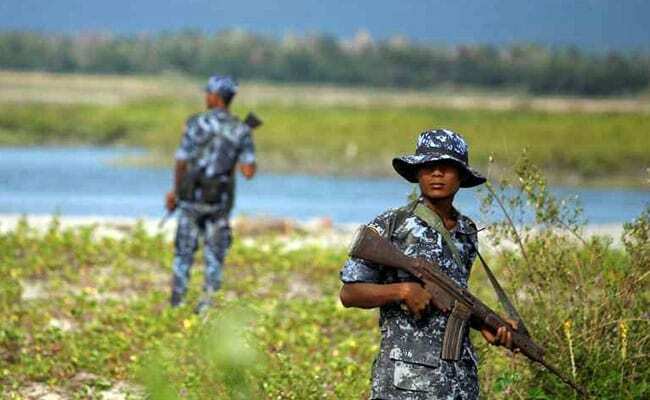 Brussels: The European Union will start preparing sanctions against Myanmar generals over killings of Rohingya Muslims by formally calling on the bloc's foreign policy chief next week to draw up a list of possible names, two diplomats said. "Ministers will call on (Federica) Mogherini to propose restrictive measures on senior members of the Myanmar military for systematic human rights abuses, without delay," one diplomat said on Thursday, referring to EU sanctions. Foreign ministers will also ask Mogherini and the EU's foreign service, the EEAS, on Monday to look at ways to strengthen the bloc's 1990s-era arms embargo on the Southeast Asian country that remains in place. Myanmar government spokesman Zaw Htay could not be reached for comment. Myanmar military spokesman Major General Tun Tun Nyi when reached by phone did not comment on the EU decision. In a statement expected to be released on Monday at a regular gathering of EU foreign ministers, the bloc is also expected to reiterate its call for the release of Reuters reporters Wa Lone and Kyaw Soe Oo, detained on Dec. 12 over accusations that they violated Myanmar's Official Secrets Act. The two had been working on a Reuters investigation into the killing of 10 Rohingya Muslim men who were buried in a mass grave in Rakhine state after being hacked to death or shot by ethnic Rakhine Buddhist neighbours and soldiers. No names of generals to be targeted for sanctions have been discussed, the diplomats said, but the United States said in December it was sanctioning Major General Maung Maung Soe, who is accused of a crackdown on the Rohingya minority in Rakhine. The EU's decision to consider sanctions reflects resistance to such measures in the U.N. Security Council, where veto-wielding powers Russia and China said this month they believed the situation in Rakhine was stable and under control. The United States, as well as United Nations, have described the military crackdown in Myanmar as "ethnic cleansing". About 655,000 Rohingya have fled from Rakhine State for shelter over the border in Bangladesh, according to the United Nations.